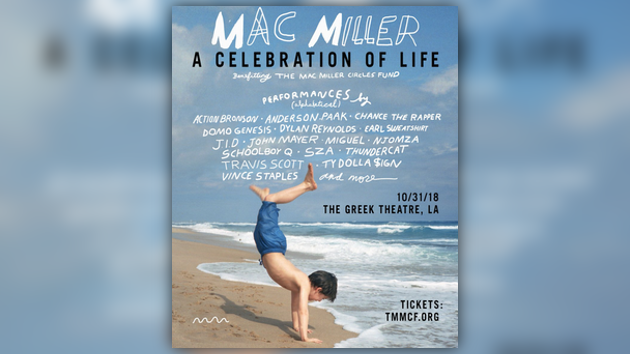 UPDATE: With just two more days to go until the Mac Miller: A Celebration of Life concert, Mac’s team has revealed that the event will be livestreamed for all those who are not fortunate enough to make the trip to L.A. The event will kick off this Wednesday at 9:30 PM EST. ORIGINAL: It’s hard to believe that it’s almost been a month since the tragic passing of Mac Miller, and with fans all over still mourning the loss, it was announced today that some of Mac’s closest friends & collaborators will be coming together to put on a show to celebrate his life. 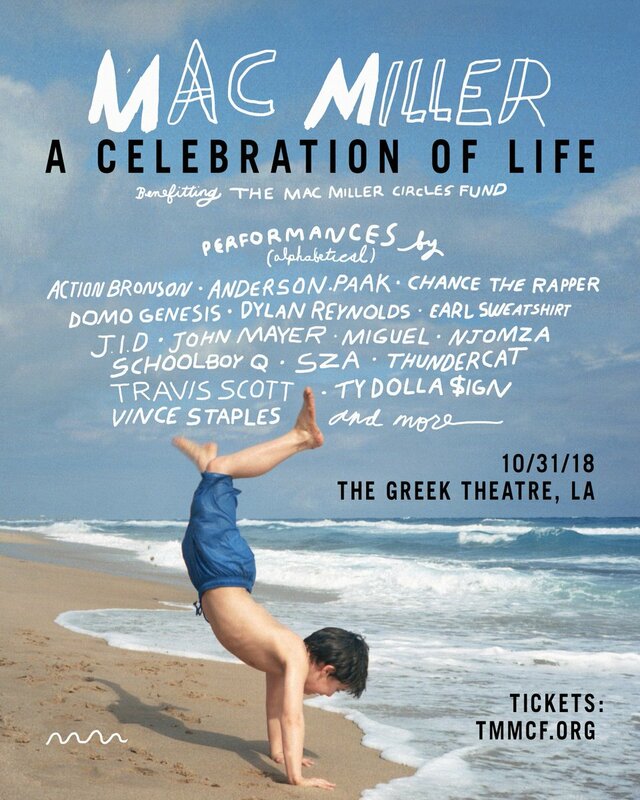 On October 31st at The Greek Theatre in Los Angeles, ScHoolboy Q, Travis Scott, Vince Staples, Chance The Rapper & many more will be performing at the Mac Miller: A Celebration of Life concert to benefit The Mac Miller Circles Fund. Check out the full list of acts below & grab you’re tickets here.